In an interview with TV host Wael el-Ebrashy, he further added that since he is in Egypt, he has the time to go down the streets to assess the needs. “Here I am [in Egypt] […] now I think there is a chance that compels me to verify accurately what exactly is needed,” Shafiq said. He further added that he is ‘not kidnapped’ in response to the latest news saying that he has been kidnapped after leaving the United Arab Emirates (UAE). Shafiq has been deported from the UAE, where he had been living in exile since 2012, after he announced his intention to run in next year’s election, according to lawyer Dina Adly in a statement. The family members and lawyer of Shafiq have not been able to contact him since he was deported from the UAE. Adly said on Sunday she has ‘no information on Shafiq’s current location’. Later on Monday, Adly met Shafiq at a New Cairo hotel on Sunday night and said that he did not face interrogations, reported MadaMasr. Shafiq is facing charges of violating building regulations pending investigations. Egypt Independent reported that the state-run Akhbar Al-Youm “said that the legal case is related to apartments and buildings linked to his daughters, which allegedly were built in violation of building codes”. Shafiq told Reuters, earlier on November 29 while in the UAE, that he intends to run for president in the upcoming presidential elections. Despite announcing plans to return to Egypt in the coming days, he declared, in a video statement, that he is unable to leave the United Arab Emirates (UAE) as authorities have stopped him from leaving the country. Shafiq further said that the video is leaked, as he didn’t send it to al-Jazeera, and has been aired without his permission. The Minister of State for Foreign Affairs of the United Arab Emirates (UAE) Anwar Gargash responded in a tweet saying that General Ahmed Shafiq is free to leave the country and there is ‘no obstacle’ to his departure. 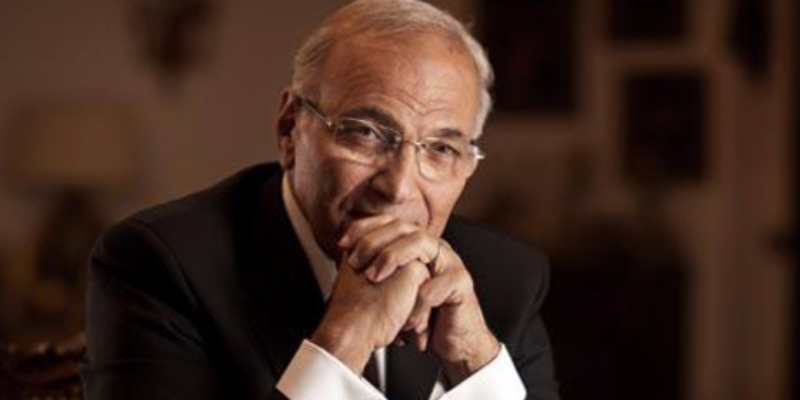 Shafiq ran for the 2012 presidential elections and lost to the now-ousted president Mohamed Morsi. Shafiq was Hosni Mubarak’s last prime minister before he was toppled in the 25 January uprising in 2011.